Who doesn’t love waking up to a delicious breakfast in bed? 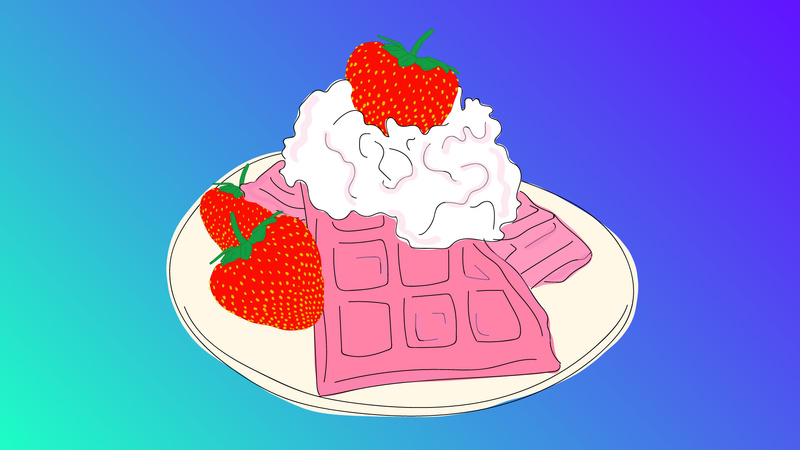 If you want to give your boo a little something extra, these pink strawberry waffles are sure to impress. You can choose to color them with strawberry juice for a light-pink color or add some red dye for a little extra romance. Freshly juiced strawberries replace the milk in this recipe to create a crispy waffle in a lovely shade of pink. Just process the berries in a juicer, or blend them and strain the juice. Make sure to bake the waffles on the lowest waffle iron setting, or they will start to brown and not look quite as festive. 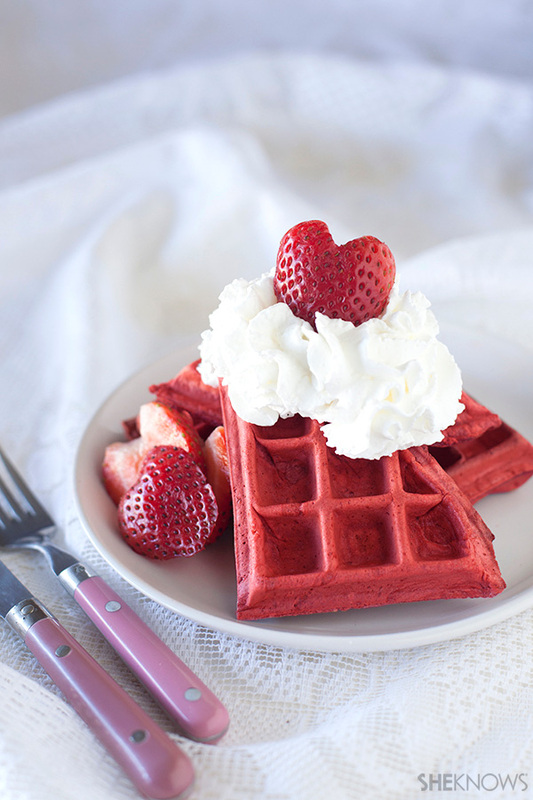 To get your waffles super pink, add a few drops of red food coloring. In a medium bowl, use a fork to whisk together the flour, baking powder, baking soda and salt. In another bowl, whisk together the strawberry juice, eggs and honey. Stir the wet ingredients into the dry. Mix in some red food coloring if your batter is not pink enough from the berries. Cook the waffles according to the instructions for your waffle iron. Place the cooked waffles directly on the oven rack to keep them warm and crisp until ready to serve. Top with whipped cream and sliced strawberries if desired. A version of this article was originally published in February 2014.